Rihanna looks her glamorous best front in December 2010 issue of Marie Claire magazine, UK edition. The pop star who is releasing his new album, High, 16 November, not only provide stunning images of the mag, she gives a heartbreaking but inspiring interview. 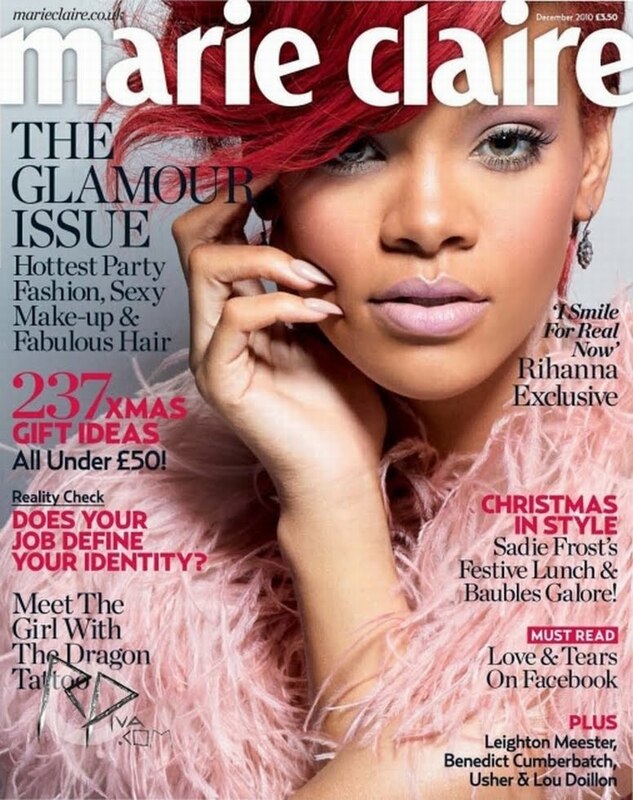 Pretty Rihanna adorns the December 2010 cover of Marie Claire magazine. The entire interview with Rihanna in Marie Claire's December issue on sale Thursday.